Anyone who enjoys windsurfing knows that just like opening a successful business, a successful windsurfing excursion depends a great deal upon the location you choose. The requirements are simple -- nice beaches and favorable winds are really all you need. But the experience can be made so much more enjoyable when you add things like a welcoming community, beautiful scenery and a relaxing atmosphere. The five places listed here are among the favorites of windsurfers worldwide. Whether you are an expert windsurfer or a brand spanking new beginner, I hope you will find this information at least entertaining if not useful. Windsurfing is a great sport for boys, girls, men and women of all ages! First on the list is Tarifa, a small town located at the southern tip of Spain. Windsurfing is probably what Tarifa is best known for, though its beautiful beaches and thriving tourist status would make this an excellent vacation destination for anyone looking to relax for a few days. Tarifa is considered by many, indeed probably by most, to have some of the best winds in the world. Not only is it known for the number of windy days it is blessed with, but also of the quality of those winds. While expert windsurfers will simply enjoy the luxury of an excellent ride, beginners will also find this a great place to learn the sport. As evidence of this, the beaches are full of windsurfing schools ready to teach those new to the game. Other activities in the area include bird watching during the migratory season, especially storks which cross the nearby Straits of Gibraltar in spring and autumn. Whales and dolphins are also popular attractions in the area. Sightseers will find Roman ruins, medieval castles, and Gothic style churches to pass those rare days when the winds are not there or the surfer simply needs a break. Then, of course, there is never anything wrong with a day at the beach just watching the other windsurfers and kite-surfers that frequent the area daily. The winds in Rhodes, Greece, are the best reason to visit this European paradise. Almost everyday the winds are gentle (Force 2-3) but steady in the morning then pick up as the day progresses (Force 5 or greater) changing the water from flat and perfect for beginners to wavy and perfect for those looking for a little bump and jump action. Beautiful weather is a staple of the region though the winds are best in the hottest part of the year (mid-July to early-October). As far as other activities in the area, one great thing about Rhodes is it is in a mountainous region so there is plenty of opportunity for hiking and mountain biking. Beautiful scenery is everywhere from the sandy beaches to the rocky trails. There are plenty of historic sites to see in the area as well. While Rhodes is the largest island in the Dodecanese Islands, it is surrounded by more than a dozen large islands and over a hundred smaller islands offering plenty of sight-seeing opportunities. The area is also popular with scuba divers who say the natural beauty of the area is multiplied beneath the water's surface. Windsurfing is popular on Rhodes Island's Prasonisi Beach in beautiful Greece. Mid-December through April and June through September are the best times for windsurfing in the Dominican Republic. During those times the days begin with gentle winds that build in intensity once the thermals kick in around noon and peak in the late afternoon. Other times during the year the wind is less predictable but can still produce some great conditions at times. A great time to visit is during the Cabarete Classic, a windsurfing competition formerly known as Cabarete Race Week, usually held in June or July each year. If you visit during the off season for windsurfing or just find yourself needing a diversion from your windsurfing adventure, there are plenty of beautiful sights to see in this glorious island paradise. Hiking, mountain biking, scuba diving and cave exploring are all popular vacation pastimes in the area. Younger vacationers make up the majority of tourists here which encourages a healthy nightlife with bars and clubs featuring a variety of entertainment. Just be sure to get a good night's rest so you will be ready for those waves the next day by noon! 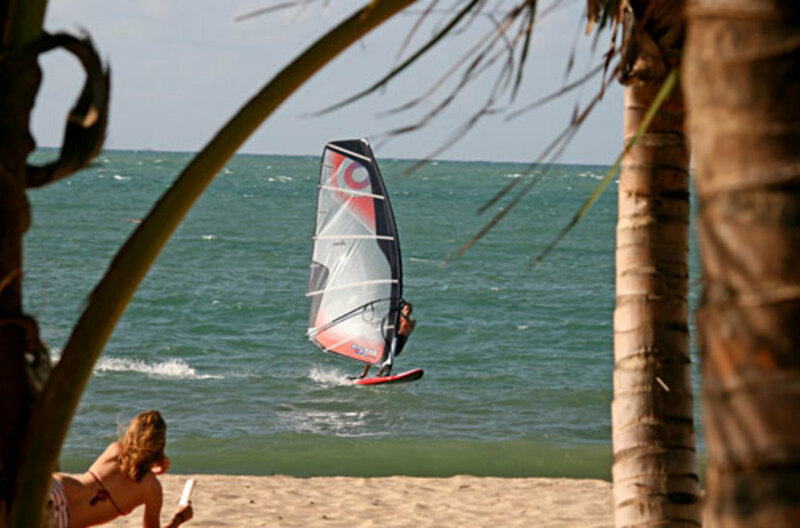 A variety of winds make Cabarete a great windsurfing destination. 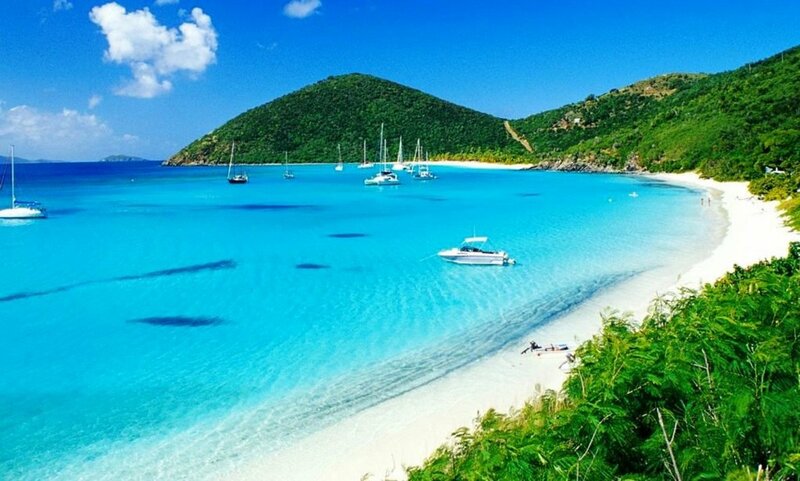 The British Virgin Islands have long been known as one of the premiere spots in the world for sailing but have been growing in popularity with windsurfers as well since the mid-1980s. The ocean setting makes for strong winds while the protected inland sea that forms the Sir Francis Drake Channel is rife with perfect wave action to make the Islands the perfect getaway for enjoying the sport. And you definitely will never find a more beautiful locale. You will need to plan an extended stay to fully appreciate the Islands as there are numerous spots for the windsurfing enthusiast to visit -- Trellis Bay, Jost Van Dyke, Nanny Cay, Cane Garden Bay, and Anegada are just a few of the many areas you will want to visit. Other activities in the area include sailing, beach-combing, mountain biking, hiking and bird watching. Snorkeling is popular on Anegada as it offers the East Caribbean's third largest reef system surrounded by clear water, warm sea temperatures and an abundance of aquatic life to observe. The Islands are full of natural beauty and, though a popular tourist destination, it is fairly easy to find a quiet place to just sit back and enjoy the splendor that surrounds you. Windsurfers on Kapalua Beach on Maui's Western shore. Maui, of course, is legendary for many reasons and windsurfing is certainly one of them. The best times to visit Maui is from March through May and then October and November when there is an ideal combination of wind and waves most days. 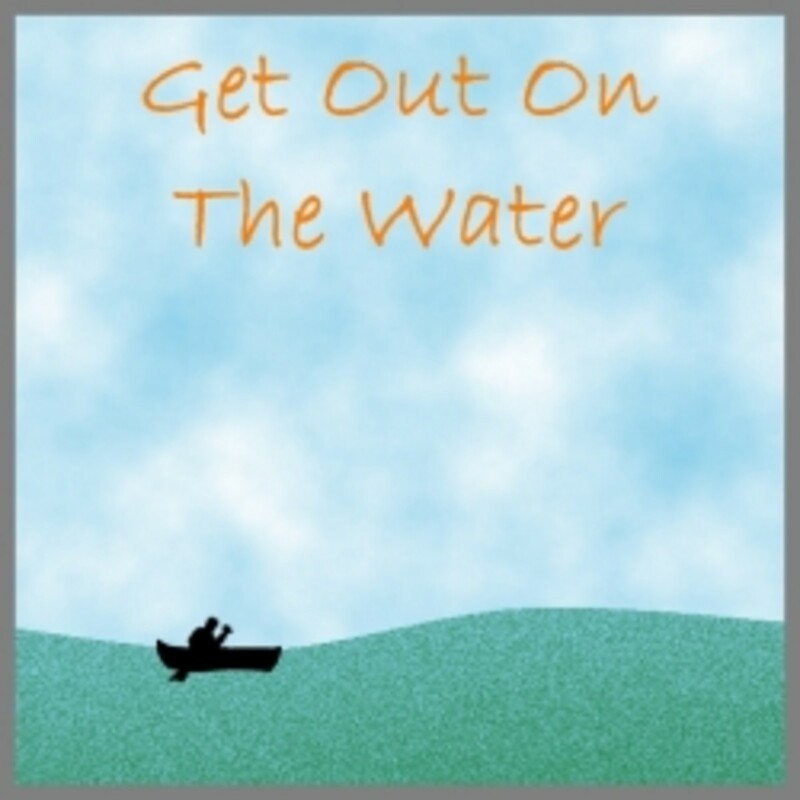 While the winter has great waves but poor winds, the summer is just the opposite with great winds but poor waves. The island is beautiful year round so there is definitely reason to visit anytime, but if hitting these beaches in the winter or summer it is probably best to leave the windsurfing gear at home. During the on-season, the best beaches for windsurfing are located along Maui's North Shore, but vacationers will find plenty to do everywhere on the island as well as on the other Hawaiian Islands. Let's face it -- this place defines "island paradise!" Gorgeous beaches, stunning flora, clear skies and even clearer water can be found everywhere, not to mention the beautiful women and men who populate the islands. People watching is practically its own sport in Hawaii! Maui specifically and Hawaii in general is next on my vacation wish list. Now if I can just figure out how to make it a permanent vacation! White Bay; Jost van Dyke, B.V.I. 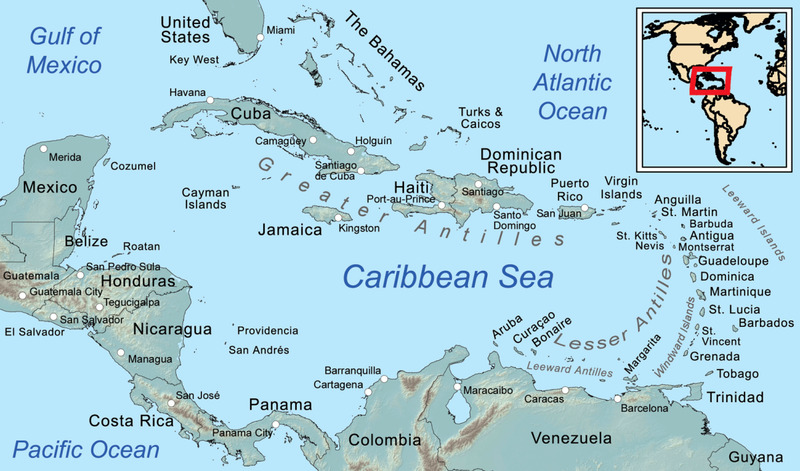 British Virgin Islands: How British Are They?